At the start of the 2017 surf season, Jeep signed on for a renewed, multi-year partnership with the World Surf League. The partnership certainly makes sense, as many of the world’s best surfers rely on Jeep vehicles to reach their ideal surfing destinations. Of course, not every Jeep enthusiast is a skilled surfer. With that said, those enthusiasts can embark on a surfing excursion of their own through the Jeep Sessions: A Surfing Journey in 360° experience. Jeep Sessions: A Surfing Journey in 360° is the latest virtual reality experience from the Jeep brand. 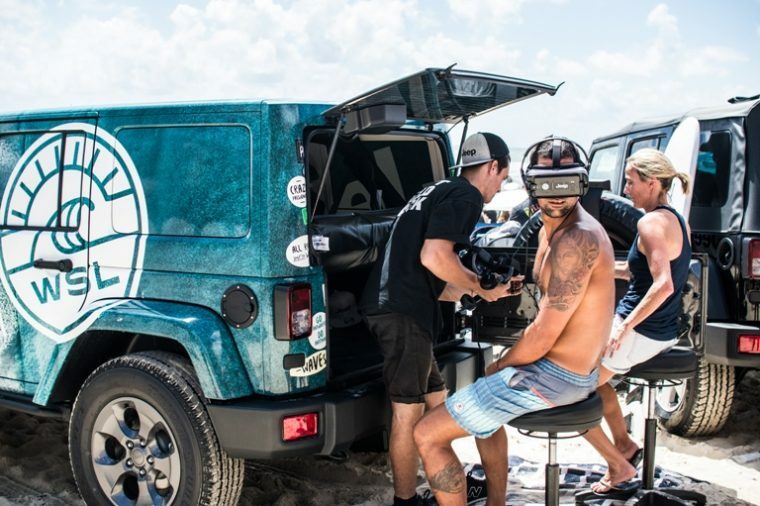 During this VR journey, participants will be able to tag along with surfing stars Jordy Smith and Malia Manuel as they head out in their Jeep vehicles to find the perfect waves on the Hawaiian island of Oahu. During the journey, Smith sets out in a brand-new 2018 Jeep Wrangler. Meanwhile, Manuel drives a rugged Jeep Renegade. The VR experience showcases the off-road capabilities of these two Jeep models. Behind the wheel of the Wrangler and Renegade, Smith and Manuel cross dense forest terrain and rocky paths before finally reaching Oahu’s beautiful beaches. The second format involves advanced VR technology, complete with gaze-based interactions. Participants will be presented with several choices to make during the Jeep Sessions: A Surfing Journey in 360° experience, with the outcome determined by the direction the user looks when a choice is presented. Depending on the choices users make during the interactive VR adventure, the narrative can end in several different ways. The Jeep Sessions: A Surfing Journey in 360° app can be downloaded via iTunes, Google Play, Daydream, or Oculus Gear VR. Surfing fans can also interact with the VR experience at World Surf League events throughout the year.